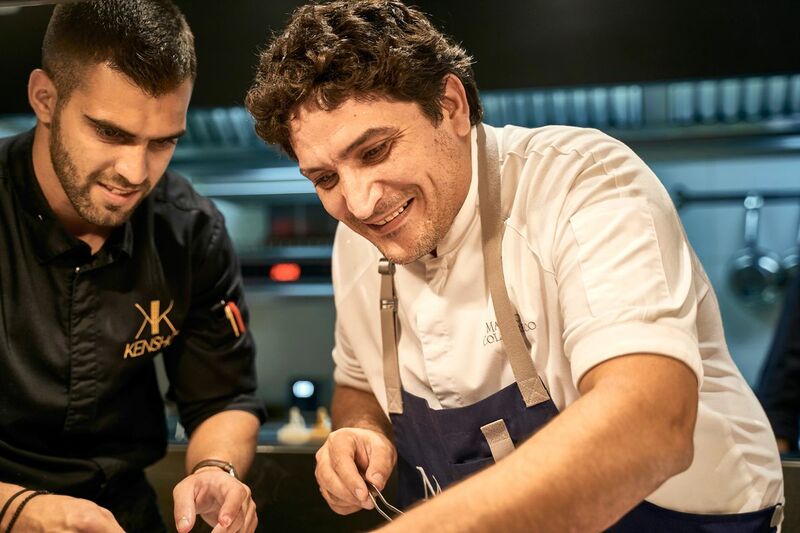 The Cretan “virtuoso of Modern Hellenic Cuisine”, George Stylianoudakis, welcomed award-winning chef Mauro Colacreco in Kensho fine dining restaurant in Mykonos for a spectacular 4 hands fine dining performance. 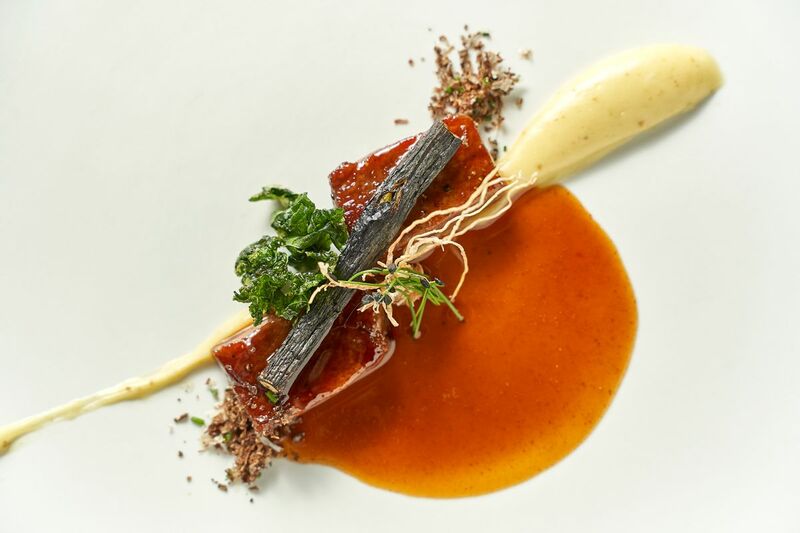 The sophisticated cuisine of Mirazur’s chef-patron, gave him prominence as one of the most influential chefs of the decade. I had the chance to taste chef Colagreco’s cuisine twice in the past few years, when his restaurant ranked 6th and 4th at “World’s 50 Best Restaurants” list (he’s currently at #3) so it was more than a pleasure to see him again, this time, not at his culinary diamond in Menton but in Greece, in cosmopolitan Mykonos. 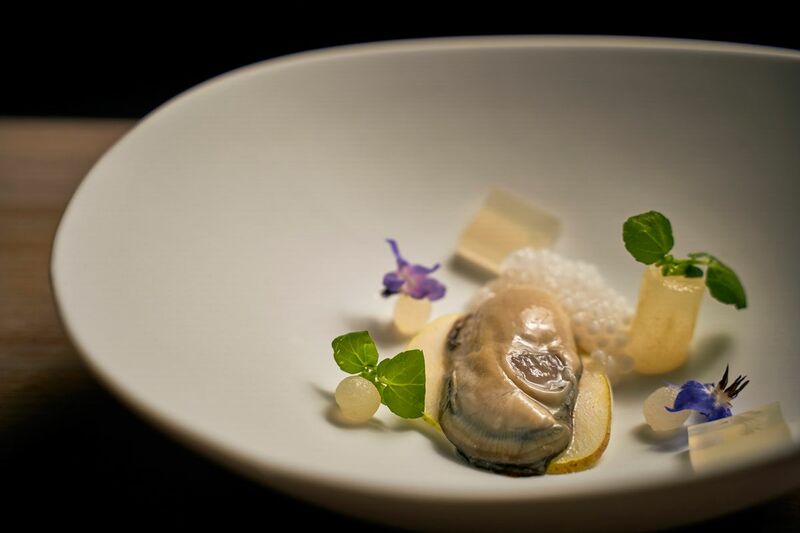 The aesthetic base of his refined dishes, the delicate gourmet eclecticism and his expressive modernism compile his gastro-mentalité and regarding his culinary profile, the really interesting part is that it’s formed by his Italo-Argentinian legacy. So, his references aren’t strictly French, as someone may suggest because of Mirazur’s location, but Mediterranean. 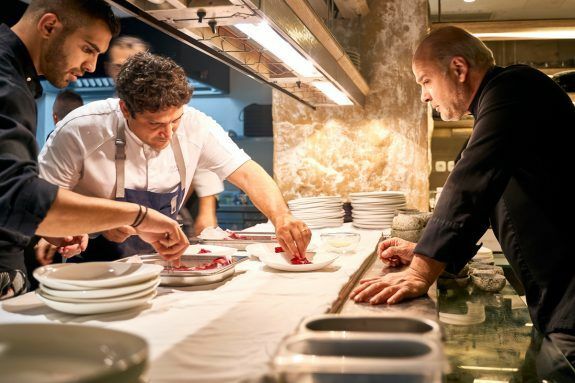 Chef George Stylinoudakis also persistently seeks for perfection, retains the balance between presentation and taste and constructively reforms local ingredients in a beautiful interpretation of tradition to gastronomic modernism. A unique dining experience at this meeting was a one-way street. The star-worthy menu was a potpourri of their signature dishes and every one of them defined their culinary expertise. 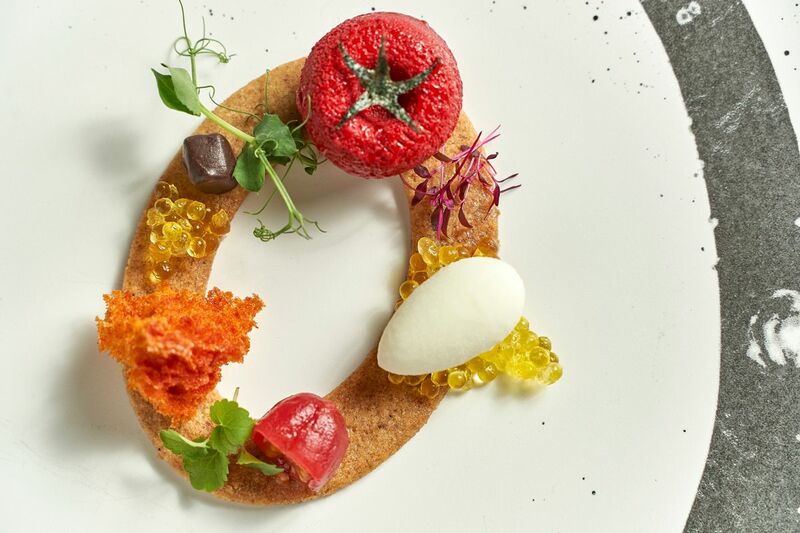 They both seemed to test out tasting perception considering that they focused on the tasting experience but also formed a creative dialogue between the diners regarding the beautiful combinations of the ingredients used. The highlights of the 11 course well orchestrated meal included the elegant signature “Oysters with shallot cream and declination of William’s pears”, the salt crusted beetroot carpaccio with oscietra caviar cream dishes and the unbelievable Mirazur’s sharing bread made with Mauro Colagreco’s grandmother recipe accompanied by a Pablo Neruda’s poem and a nice Cretan olive oil. The umami packed “Fricasee”of shelfish, pesto and greek basil was definitely a surprise followed up by the “Early potatoes with turbot barde and greek bottarga” which was a dish I look forward to taste again. 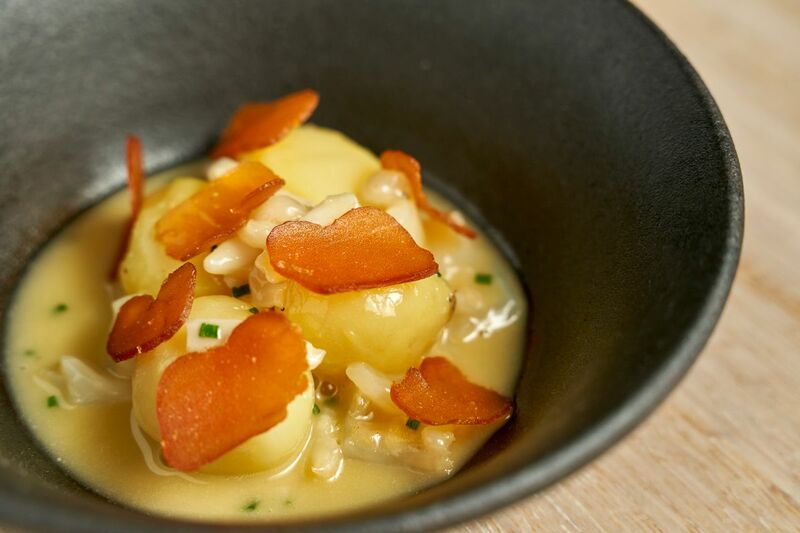 The concentrated flavor of the velvety base combined with the bottarga was extraordinary. Hats off to the “Game birds à l’ancienne” with Grevena’s ceps, it was the ultimate gastronomic chord. 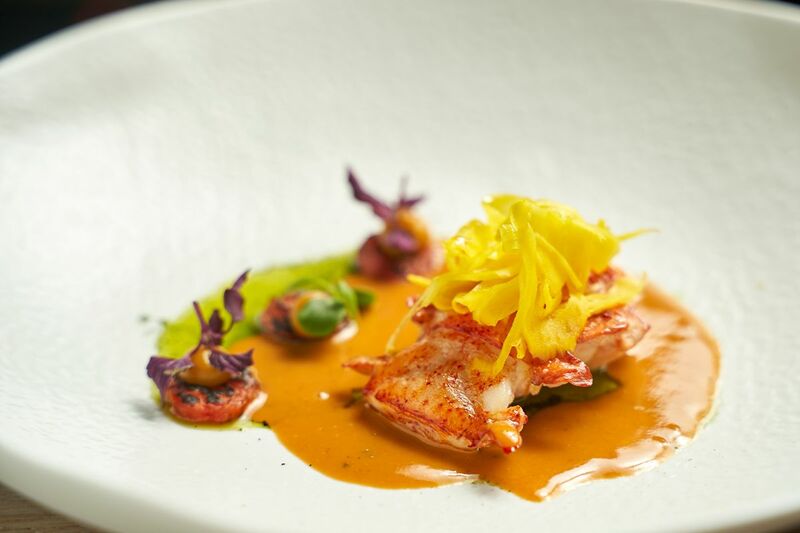 Chef George Stylianoudakis’s “Blue lobster with tomatoes confit, tarragon olive oil, saffron cream and fennel was a harmonious merge of tense flavors and definitely a dish to remember. But “Wagyu emulsion with onions, truffle, cumin and cress was out of this world. Tender and robust, with the mildly seasoned potato puree and stifado sauce, it was the quintessence of taste. The sweet epilogue of our meal was formed by two delicate desserts, “Naranjo en Flor” (Mauro Colacreco) and “Chocolate tomatoes with olive oil caviar and feta cheese ice cream (George Stylianoudakis). Α meal to remember!